Over the last 10 years, The Nelson-Atkins Museum of Art has strategically enhanced its world-renowned encyclopedic collection. Unexpected Encounters highlights the significant acquisitions of the last decade and gives visitors a rare opportunity to experience these works in unexpected juxtapositions. 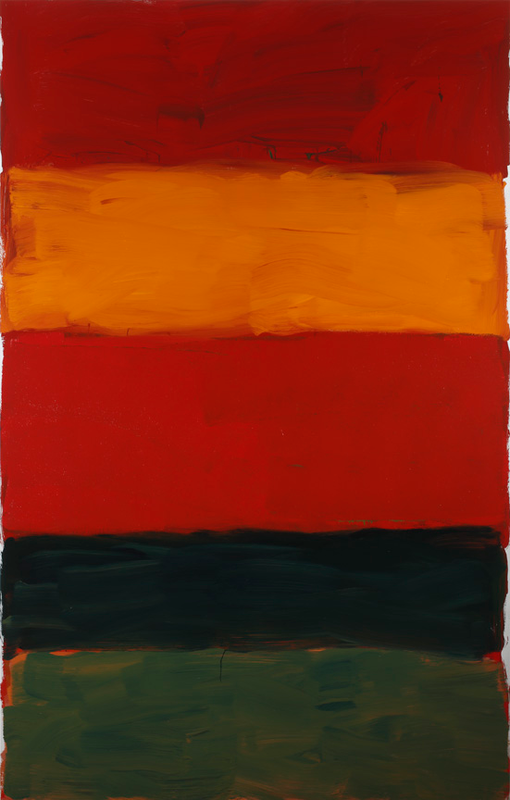 Noteworthy acquisitions including Olafur Eliasson’s The presence of absence (Nuup Kangerlua, 24 September 2015 #3), 2016, Sean Scully’s Landline Tappan, 2015, and an early 20th-century cabinet by Italian designer Carlo Bugatti, will make their debut at the museum in the exhibition. Fan favorites, such as Romare Bearden’s Jazz 1930s – The Savoy, 1964, South Korean artist Lee Lee-Nam’s Four Seasons 2 digital video, 2011, and a pair of Lakota gauntlets, circa 1890, will return to the spotlight in the featured exhibition galleries. With innovative interpretation and interactive activities, the exhibition reveals the behind-the-scenes work of museums while also prompting visitors to consider new ways of experiencing works of art. Unexpected Encounters recognizes the many incredible donors that have made the growth of the museum’s collection possible and it highlights the museum’s dedication to strengthening its holdings of exceptional art. 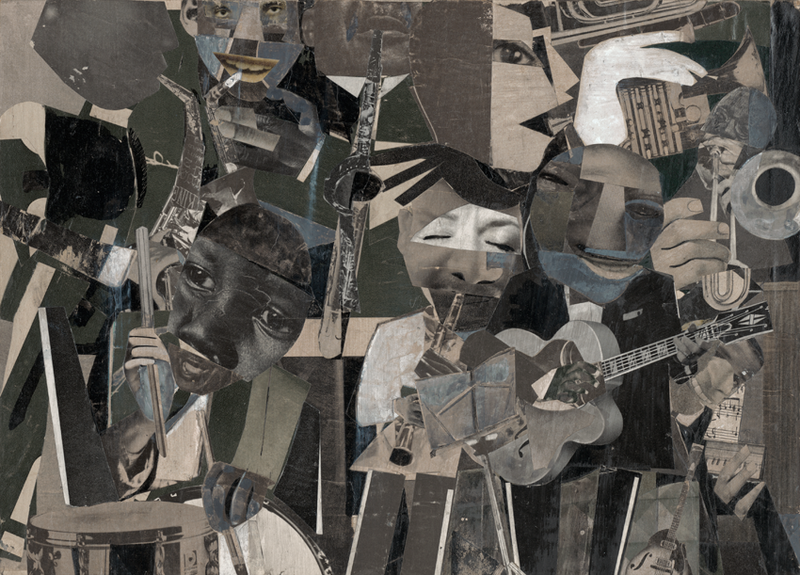 Images: Top: Romare Bearden, American (1911 – 1988). Jazz 1930s– The Savoy, 1964. Collage on paperboard, 10 1/8 x 14 1/4 inches. The Nelson-Atkins Museum of Art, Kansas City, Missouri. Purchase: William Rockhill Nelson Trust through the George H. and Elizabeth O. Davis Fund; exchange of gifts of the Mid-America Artists Association and William T. Kemper to the Mid-America Annual Collection; purchase awards from the Sixth–Tenth and Fourteenth Mid-America Annual Exhibitions, Sales and Rental Gallery, and Ford Foundation for the Mid-America Annual Collection; gifts of Richard Shields, Mrs. Jesse Raymond Battenfeld through the Battenfeld Foundation in memory of Jesse Battenfeld, Helen Mag Wolcott, Mrs. A. W. Erickson, Arthur Wiesenberger, Mr. and Mrs. Walter J. Berkowitz, Katherine Harvey, Mr. and Mrs. B. B. Geyer, anonymous donors, Sadie A. May, Mila Mitchell, Walter A. Weiss, Mrs. Clyde Porter through the Friends of Art, Trustees of the Kansas City Art Institute and School of Design through the Friends of Art, and Leavenworth Penitentiary Artists; and Nelson Gallery Foundation properties, 2009.61. Bottom left: Sean Scully American (b. 1945). Landline Tappan, 2015. Oil on aluminum, 118.1 x 74.8 inches. The Nelson-Atkins Museum of Art, Kansas City, Missouri. Purchase: acquired through the generosity of Sean Scully, Dr. Luther Brady in honor of Lee Lyon and the William T. Kemper Foundation—Commerce Bank, Trustee, 2017.46. 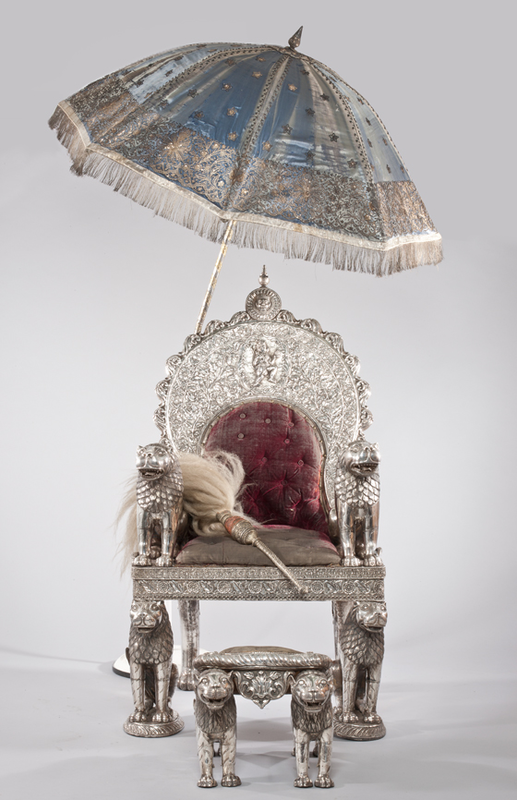 Bottom right: Royal Throne, 1911, Indian. Molded and carved silver sheet, wrapped around a wood core, with silk velvet, brocaded silk and horse or ox tail, 59 1/4 x 31 1/2 x 35 7/16 inches. 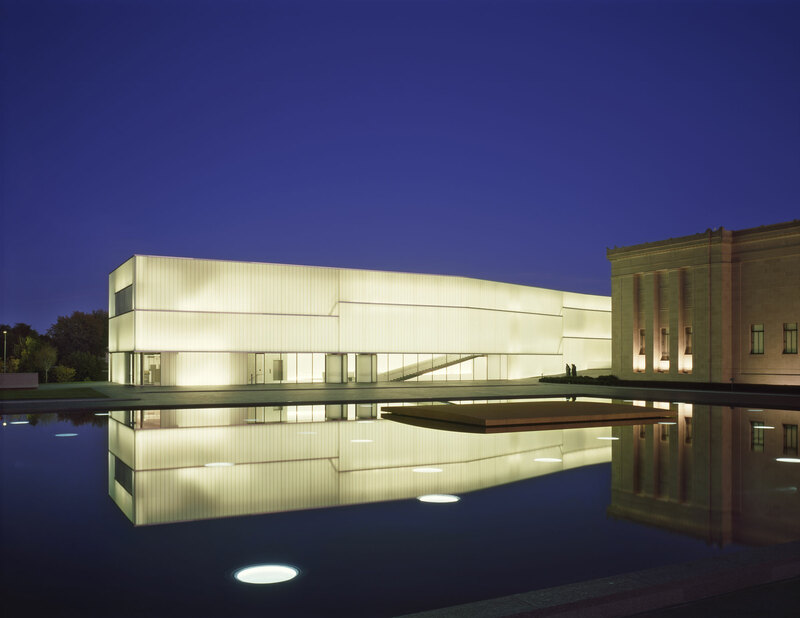 The Nelson-Atkins Museum of Art, Kansas City, Missouri. Purchase: William Rockhill Nelson Trust through the George H. and Elizabeth O. Davis Fund, 2013.10.1.1.